It’s okay, I’m still thinking about Mr. Darcy as well. I wasn’t kidding about the scones. And because I certainly haven’t had enough of them, I’m bringing back the blueberries. Well, dried blueberries. 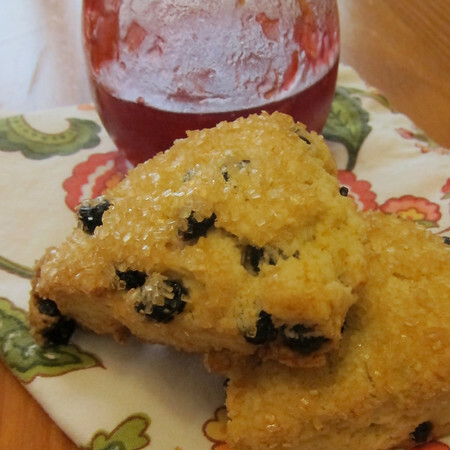 Those of you scone purists may be happier with this scone recipe than last week’s frosted version. Also a Dorie Greenspan (slight) adaptation, this simple base would work well with any kind of dried fruit (the original calls for currents). 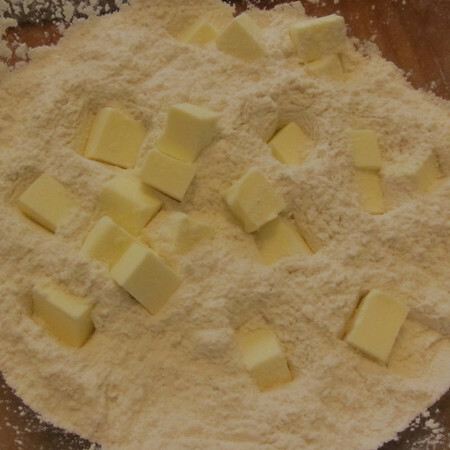 The method and ingredients are very similar: cold butter, flour, a little sugar, a little cream and an egg. Gently shape into a couple of wheels and cut. Not one to leave a good thing alone, I couldn’t keep myself from adding a sprinkle of turbinado sugar for a little crunch. 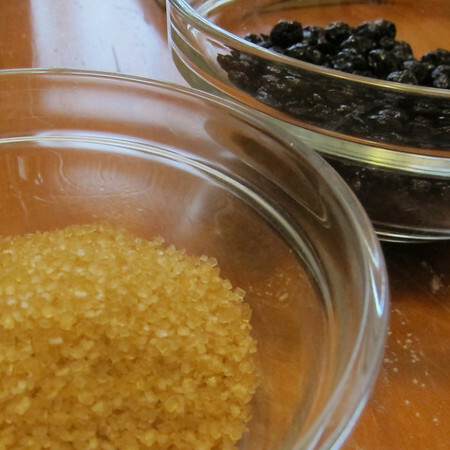 You could easily go plain or use regular granulated sugar. All lined-up and read to go. I think this recipe took maybe 10 minutes to throw together. And then another 20 in the oven. With a recipe this quick, why would you ever buy them from the bakery again? Position rack in the center of the oven, preheat to 400 degrees. Stir the egg and cream together. Drop-in butter and using your fingertips, rub butter into dry ingredients until the mixture is pebbly (everything from oatmeal flake to pea sized is just fine according to Dorie). Pour the egg and cream over the dry ingredients and stir with a fork until the dough just comes together (it will be sticky). 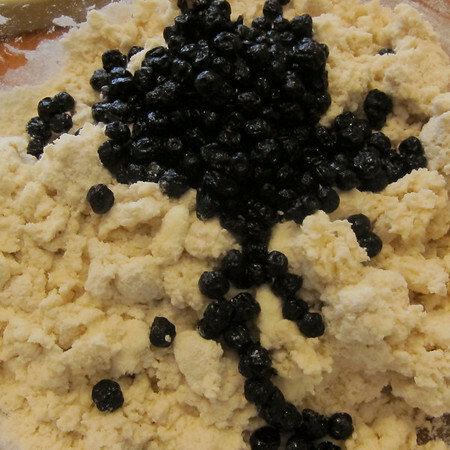 Stir in the currents and gently knead the dough while still in the bowl (8-10 times). 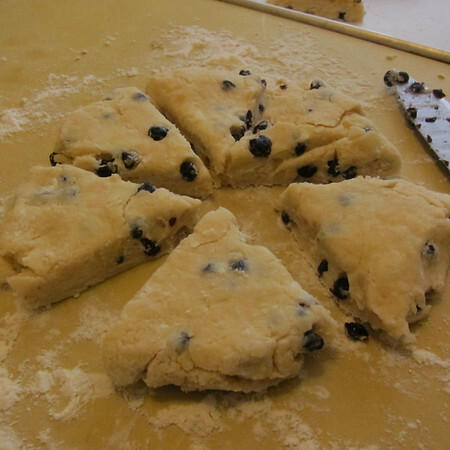 Divide dough in half, shape into disks and turn-out onto a lightly floured work surface. Cut each disk into six wedges. 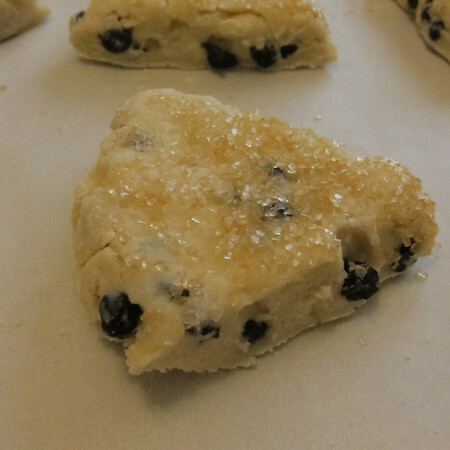 If desired, sprinkle sugar over each scone. 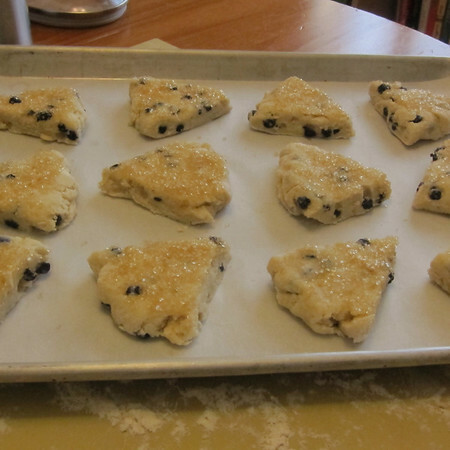 Places scones on baking sheet and bake for 20-22 minutes or until the tops are golden brown. The words “cream scone” are magical. And I bet these would be doubly good dolloped with some clotted cream and a heap of blueberry jam.